On July 31, 2013, a non-binding Memorandum of Understanding (MOU) between the Government of Belize (GOB) and Norwegian Cruise Line (NCL) was entered, highlighting the value and importance of a new tourism project in Harvest Caye . The tourism venture was outlined as an economic opportunity that would enhance the growth of foreign investment in the country, create much-needed jobs, increase foreign exchange and foster development in the Placencia Peninsula, an area in Southern Belize with four small villages and a population of less than 4,000 residents . The promotional material for the NCL project promised future travelers an experience that celebrates the Peninsula’s rich culture shared by Belizeans, Creole, Garifuna and Maya . NCL’s President and CEO Kevin Sheehan described the proposed port of call as “a cruise destination focused on sustainable design and eco-friendly principles that retain the natural beauty and local culture of this tropical paradise” . At first glance, the prospect of increased tourism revenue, local employment and foreign investment in a country with a national poverty rate of 41.3%, and an unemployment rate slightly above 10%, seems like a wise proposition . However, when the Harvest Caye MOU between GOB and NCL was brought forth by the media as an impeding deal, devoid of consultation or collaboration with the residents of the Placencia Peninsula, the local atmosphere turned to a sea of distrust rather than elation . The negative response was in part based on a public commitment outlined in the National Sustainable Tourism Master Plan of Belize (NSTMP), which declared “Pocket Cruise tourism as only acceptable form of cruise tourism in South Eastern Coast Belize” (Tourism and Leisure Advisory Services, 2011, p. 132), as well as proposed “Public-Private Partnerships” (PPPs) as a strategy to “get the best results from tourism development, through promoting an integrated work approach and cooperation among the public and the private sector” (p.86). By disregarding policy, and dispensing of community input, the GOB and NCL were facing an organizational trust failure. This case study explores the reactions of Placencia Peninsula stakeholders to the announcement of cruise ship tourism in the area in order to understand the critical role that trust plays in sustainable community relations. Specifically, this article examines the community response based on information gathered from online news sources, single-issue websites, and blogs and social-media posts in the public domain to create a timeline and narrative of perceived trust failure. 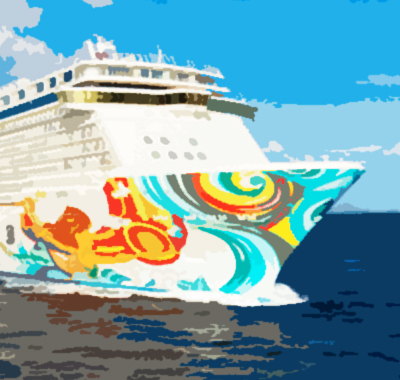 The search terms used for record collection were related to Norwegian Cruise Line, Southern Belize, Harvest Caye, Placencia Peninsula, and tourism. This paper will (1) review the importance of trust and community relations, (2) briefly outline the series of trust failures, in relation to the introduction of cruise tourism, which have impacted corporate-community relations between the Placencia Peninsula residents, the GOB and NCL, and (3) provide a discussion of the long-term consequences if trust repair is not addressed. This article does not seek to explore trust failures which may have occurred outside the issue of cruise tourism in the Southern Belize. Rotter defines “interpersonal trust…as an expectancy held by an individual or a group that the word, promise, verbal or written statement of another individual or group can be relied upon.” (p. 651). Trust, therefore, is a foundational element in all relationships, including those relationships between the mass population, local governments and corporations . However, a recent global survey found that only 43% of the general public has trust in the government, while only 53% of the general public has trust in the business sector . With mass distrust as a common thread across the globe, it becomes imperative for organizational leaders, particularly those who operate internationally, to understand how to build, sustain and recover trust with their stakeholders . Dietz and Gillespie (2012) define organizational trust as “a judgement of ‘confident reliance’ in … an organization” (p. 6) judged on three dimensions of trustworthiness: ability, benevolence and integrity. Ability is a set of competencies or technical skills that allow an individual or group to possess influence in a specific area or situation . Benevolence is the degree to which an individual or group is viewed as waiting to contribute positively to the relationship, beyond personal interest or financial gains . Integrity refers to a relationship between how an individual or group is perceived based on the “principles that the trustor finds acceptable” . Nurturing trust between corporations and the community in which resides requires a conscious effort . Community Outreach programs (CO), as well as Community Involvement initiatives (CI), have been noted as a corporate-community relationship best practices which assist in cultivating trust. CO and CI are often observed in companies with organizational values and strategies that align with societal issues . Typically, the leaders of these companies understand the value of community involvement and the importance of developing positive relationships within the locales where they do business . These leaders must also subscribe to the socially-responsible belief that when the community prospers, so does the organization . From 2000 to 2008, cruise tourism in Belize rapidly grew from 58,100 annual visitors to 597,300 annual visitors, an increase of nearly 1000% over a nine-year span . By 2009, the tourism industry became a major economic source for Belize, and contributed to 25% of the foreign exchange . To address the swift, as well as potential new growth in the cruise tourism sector, the Ministry of Tourism, the Belize Tourism Board (BTB), the Cruise Ship Industry Association and other tour and travel stakeholders/organizations, agreed to adhere to the Belize Cruise Tourism Policy “to make cruise tourism a component of the tourism industry by providing support for its growth and development within the framework of its environmental policy” . One objective of the document was to explore additional ports, and Placencia was cited as a potential location. In 2009, a private investment firm with ties to Royal Caribbean Cruise Lines (RCI) “directly” approached the GOB and “very quietly” proposed a plan to build a cruise tender arrival area and village in Placencia . On January 6, 2010, the Prime Minister of Belize announced during a radio interview that a cruise port was coming to Placencia, where most citizens were not informed a cruise tourism proposal was on the table. In addition, many of the residents were not aware that RCI and a group of private investors had already purchased land in the village through a real estate brokerage firm with alleged ties to a member of the Belize Ministry of Tourism. Based on the circumstance outlined, GOB and RCI had an organizational trust failure on their hands, and as one Placencia resident posted on Facebook, “This is all looking really, really bad for GOB in my humble opinion, as well as Royal Caribbean; why would they send a Real Estate Broker to break this news to the elected leader of Placencia and not some official from Royal Caribbean or some representative from the GOB?” . Nine months transpired between the initial project announcement in January and the first formal public consultation held by the Belize Ministry of Tourism, BTB and members of RCI. During that period, Placencia Peninsula residents launched a grassroots campaign to oppose cruise tourism in the area. 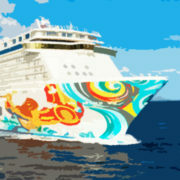 The website nocruises.org was established in August 2010 and provided links to articles outlining the potential threats of cruise tourism in Placencia, policies opposing cruise tourism, updates on public discussions, and information on how to support the no-cruise cause, including a link to sign a petition against the proposal. In addition, the Peninsula Citizens for Sustainable Development and Keep Cruise Tourism Away From Placencia Belize! each started a Facebook page, with the former deploying a website as well. The Placencia Chapter of the Belize Tourism Industry Association also joined the fight using online news articles and member surveys. Later, the Association for Protected Areas Management Organization (APAMO) came on board as well. Anti-cruise tourism forums, travel blogs and online comments on local news stories were also found to support the no-cruise movement. By the time public consultation hearings were underway in the fall of 2010, many of Placencia Peninsula residents were overwhelming opposed to the RCI project, and they had no issue calling out the BTB for assuming public acceptance, as noted in the first draft of the Tourism Action Plan 2010-2012 . Overall public sentiment was cruise tourism was a “done deal” with a plan and the land, even though BTB publicly denied the project was approved . However, the project did not, in fact, become a “done deal”. After a BTB-commissioned report following the public consultations, the RCI project was eventually denied . A Social Viability Assessment of Cruise Tourism in Southern Belize conducted by Seatone Consultants supported the strong local opposition to cruise-related tourism and revealed persuasive and relevant evidence that Placencia and its surrounding visitor attractions were not sufficiently prepared to handle the crowds associated with cruise-ship mass tourism. Also cited were examples of the past inefficiencies within the management and regulation of the established ports of call in Belize City . Following the release of the Seatone Report, the Belize Ministry of Tourism unveiled its commissioned report, the 2011 National Sustainable Tourism Master Plan (NSTMP), a 19-year strategy focused on furthering the development of its rapidly growing industry. The Master Plan set forth that pocket cruise tourism, which provides service for 300 maximum passengers, is the only suitable type of tourism for the Placencia Peninsula, as opposed to mass cruise tourism . Although confidence in the GOB may have been somewhat restored after the Seatone Report, the NSTMP, and the termination of the RCI proposal, a second organizational trust failure was soon underway with the May 2013 announcement of private negotiations with NCL for a port in Crawl Caye, just off the Placencia mainland. The proposed location was quickly overturned because the small island lies within a UNESCO World Heritage Site. However, the GOB was still open to hosting a port in Southern Belize, and two months later, the MOU between the GOB and NCL for a port in Harvest Caye was announced without any input from the community or its stakeholders . To combat the NCL project, Peninsula residents reignited the no-cruise movement with some familiar players from the RCI battle, as well as the new recruit southernbelizecruise.org, which also managed the twitter account @placenciacruise and the Placencia Cruise Facebook page. A new petition to stop the project was also started on thepetitionsite.com. Other new additions to the conversation included Village Council Facebook pages, such as Independence Village Council and Placencia Village Council PVC, although the content focuses on announcements and events than rather than activism. Despite online strategies, public hearings, community outcry, and a lawsuit filed by the Belize Tourism Industry Association against the Department of the Environment (DOE) and the National Environmental Appraisal Committee (NEAC) for approving an environmental impact assessment without public consultation, the NCL project remained on track, and is currently scheduled to welcome its first ship in November 2016 . Successful corporate-community relations requires interdependence, and in this case study, the cooperation between the GOB, NCL and the residents of the Placencia Peninsula will become necessary to the sustainability of the tourism efforts in the region. Nonetheless, cooperation does not equate to trust . And in order to be trusted, an organization or institution must be trustworthy, which includes demonstrating ability, benevolence and integrity . Company leaders who choose to dismiss or discard the voices of the community should be aware of the potential cost to the organization’s reputation and its stakeholders when they do so. And in a world connected and influenced by social media, awareness of organizational trust failure is more likely to reach global proportions in a very short amount of time. Although the plight of the Placencia Peninsula may not have reached the mass population, the potential for further online activism with the next cruise port terminal is only a click away. As noted in this study, the social media players increase, as does their reach, over time. Until a company takes the risk to proactively open a pipeline for information and communication, online communities, as well as public consultations, will be viewed as the field of the adversary rather than the ally . Rebuilding trust takes time, especially after a series of trust failures have occurred. Some organizations may choose to ignore trust issues, in hopes they will just go away. To those company leaders who choose that path, the price may be costly. Rather than run from distrust, company leaders must dare to look within to examine their own actions, beliefs and policies in search of creating mutually-beneficial community partnerships. However, organizational self-reflection does come at a risk, and that cost may include losing leaders who are no longer perceived as trustworthy .